The popularity of WordPress is on the rise and so is the popularity of WordPress themes. There are not many WordPress themes that exceed $100. Usually, a typical theme costs between $20-$75 each. Looking at the popularity and usability of these expensive themes, we have compiled a list of most expensive WordPress themes of all times that might interest you. Kaching is an impressive, fully responsive and clean e-commerce WordPress theme designed to build online stores, and business websites. Kaching WooCommerce theme has an appropriate name and available at $149. It comes with a wide range of features including internationalization ready design, HTML5/CSS3 web standards, theme options, shortcodes, 600+ Google Fonts, showcase/portfolio custom posts, custom responsive WooCommerce widgets, unlimited color schemes, flex slider, a fully widgetized homepage layout and much more. Designed for food bloggers and restaurant owners, Just Desserts boasts of single column layout. 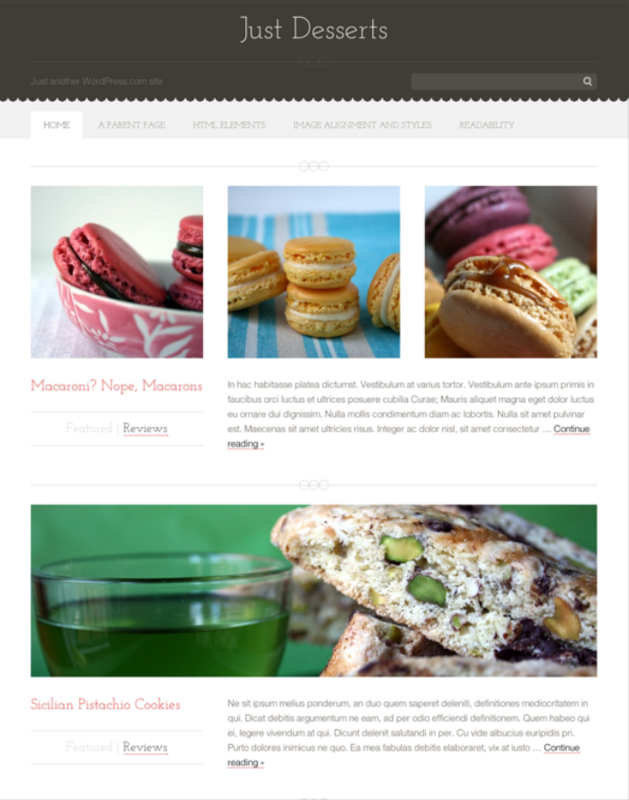 This beautifully designed WordPress theme adds life to your food blog. Major attractions of this theme include integration of social media button, a default button for Pinterest, and supplementary footer area. 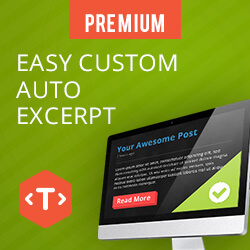 The theme also represents your content’s excerpt with a dedicated excerpt module. Just Desserts is available at $125 and also comes with a gravatar widget that allows you to add your avatar on the website. 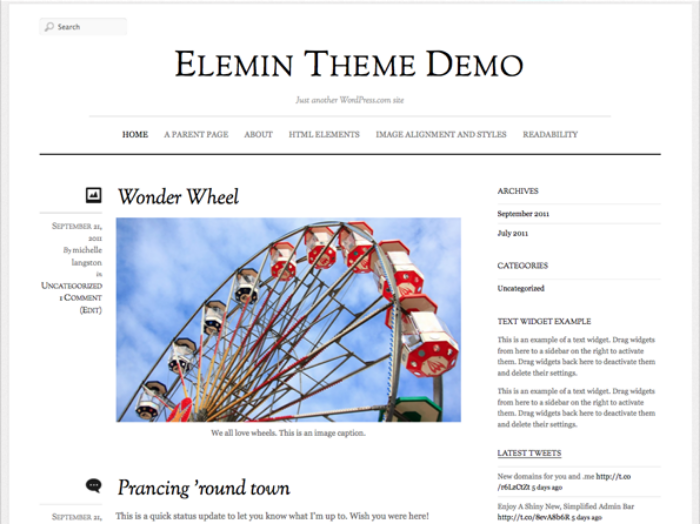 Elemin is yet another expensive WordPress theme that has a minimalist yet beautiful design. 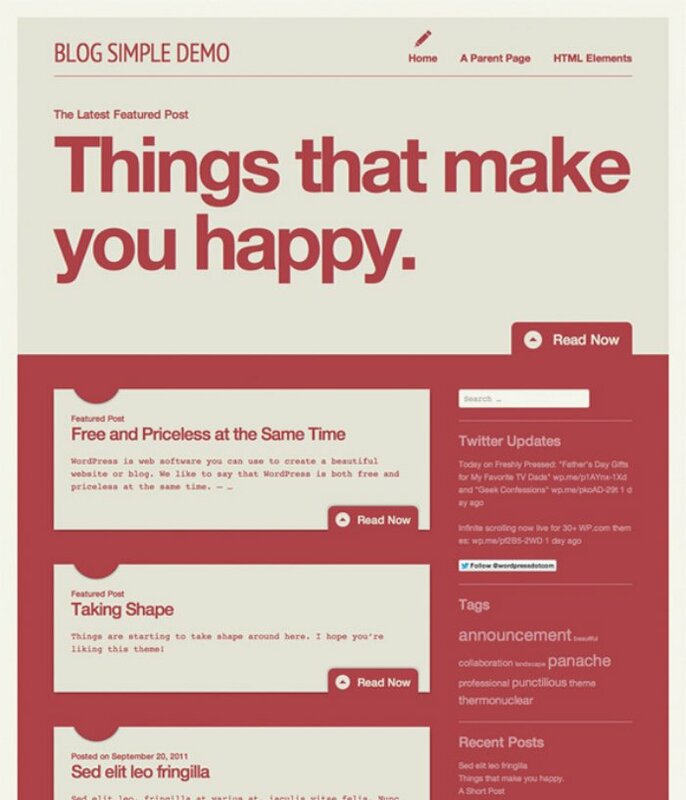 Elemin is a theme designed by Automattic and is available at $125. The gap between the minimalist design and not-so-minimalist price is bridged with 9 beautiful color schemes, intelligent use of white spaces and elegant typography. The theme allows you to choose either two column option layout or a single column layout with an option to add sidebars. Additional features include 3 convenient widget areas, two custom menu bars and many more. Blog Simple is an impressive, and user-friendly WordPress theme developed by Automattic again. Blog Simple is ideal for developing informative blogs, travel blogs, and any other type of blog, Blog Simple boasts of 2 column and 2 color style with 4 default color schemes. It also comes with widget areas such as latest posts, related posts, archives etc. You can also integrate social media platforms to your website with the help of elegant social media icons. 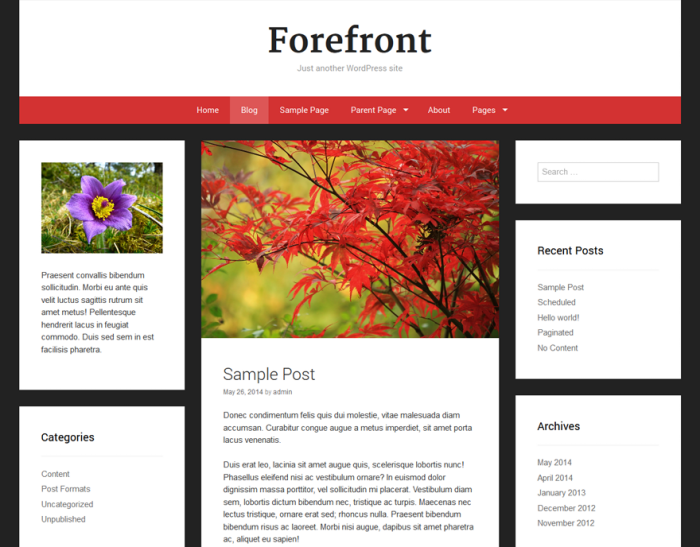 Forefront is a professional and elegant WordPress theme ideal for developing any type of business website wanting to establish a strong brand image on the internet. The theme is highly customizable and comes with a fully responsive design layout that make your website look presentable on different devices including tablets, notebooks, smartphones and more. Forefront WordPress theme boasts of professional, minimalist and clean design priced at $100 (earlier $170). Major features of Forefront WordPress theme includes Jetpack plugin, grid template, custom page templates, numerous widget areas and big image featured section. ProPhoto WordPress Theme is certainly one of the most expensive blogging themes that is priced at $199. 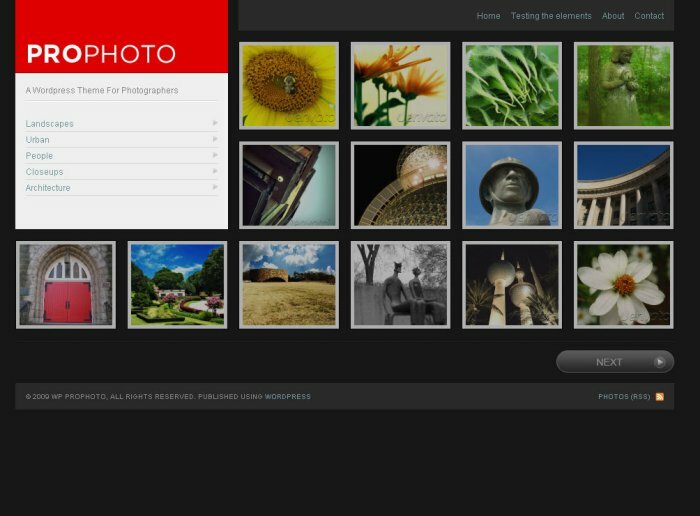 The theme has a beautiful, simple yet professional design layout ideal for amateur and professional photographers. The theme is designed by and for professional photographers who do not have any experience in website design and development. ProPhoto WordPress theme is a fully-customizable theme that allows you to customize color schemes, design starter options and other options available in the theme. It comes with a wide range of features including auto-update options, multi-language support, social media integration, more than 1000 customizable styling options, Google Fonts, flash-free galleries/slideshows, slider galleries, a fully responsive design layout and more. Made WordPress Theme is by far the most expensive WordPress theme designed for artists, designers, and photographers. Elegant design, bundle of advanced features and easy integration make Made WordPress theme an obvious choice for many. 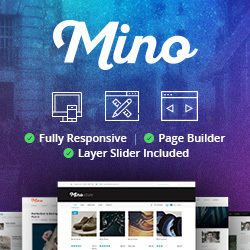 The theme is developed by Minimal and comes with a number of features including responsive design, blog section, portfolio projects templates, custom page templates, color scheme options, custom typography, Google Fonts, adjustable left sidebar, 2 menu styles, 4 portfolio templates (vertical scroll gallery, carousel gallery, horizontal scroll gallery, and masonry grid gallery) and more. The theme is priced at $400 and boasts of plenty of customization options. 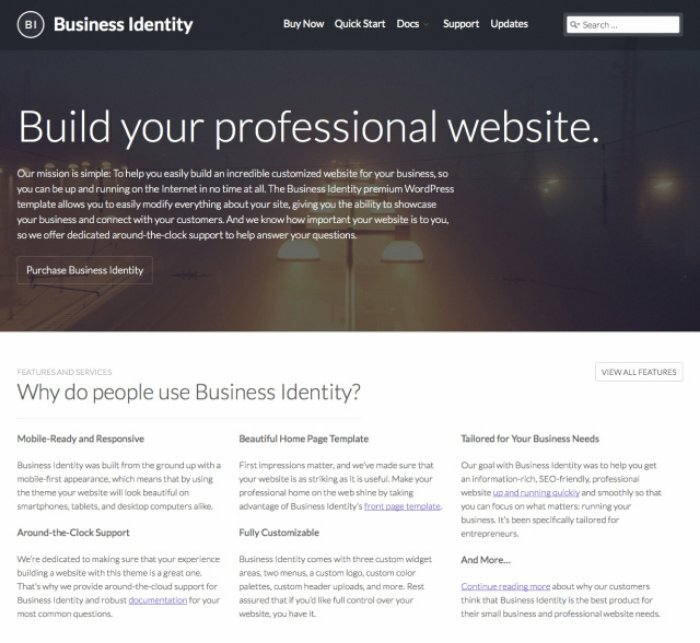 Business Identity is another premium WordPress theme developed by Automattic for businesses, and entrepreneurs to help them display their products and services in an appealing manner to attract a growing number of customers. The theme is available at $175 and comes with plenty of advanced features such as testimonials section, a location map in the footer area, and a feature-rich homepage. The theme is a perfect combination of beautiful design, advanced features and flexible layouts. In addition, Business Identity comes with a fully responsive layout and highly customizable design and priced at $175. Espresso is yet another premium WordPress theme by Automattic priced at $125. 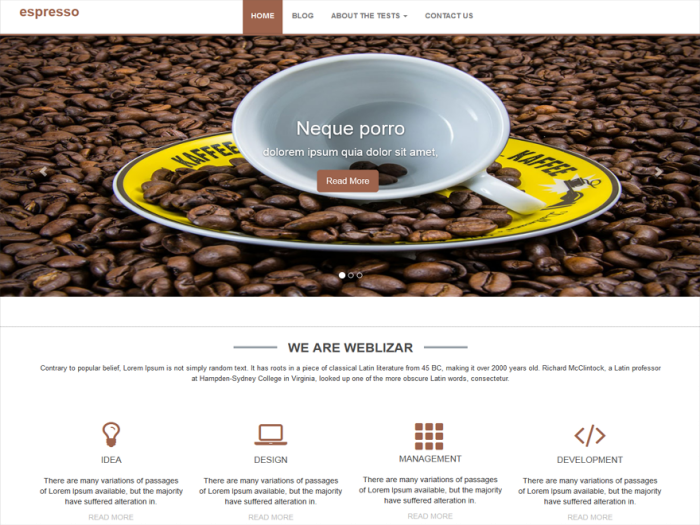 With a rather appropriate name – Espresso is a bold, elegant and impressive WordPress theme with a fully customizable design. No matter on which device your visitor browses your website, it is sure going to make your proud with its fully responsive design layout. It comes with a navigation button on the right sidebar that allows you to scroll through the website. The theme offers an option to change the style of the site with a grid or list style options. Additional features include custom colors, menu, header, background, and slide-out sidebar. Premium theme ideal for food bloggers, bars, cafes and restaurants, Appetite is a professional, elegant and modern WordPress theme. 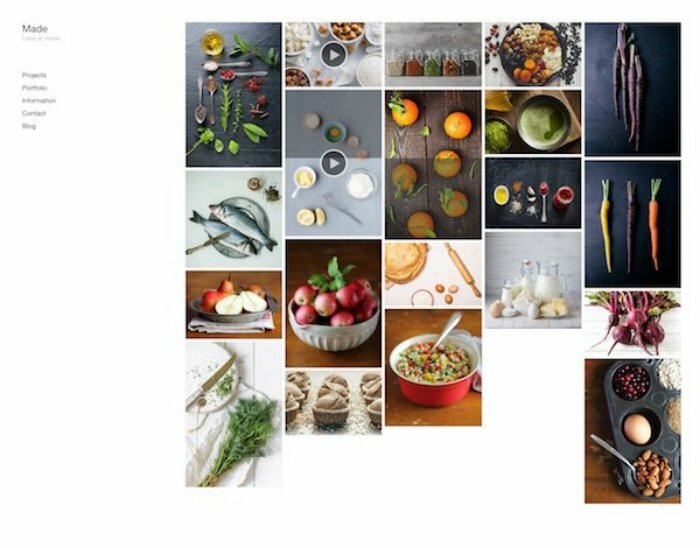 The theme is developed to help bloggers showcase their cooking without having to worry about website design and other related things. The theme’s simple and clean design also makes it perfect for businesses and companies. 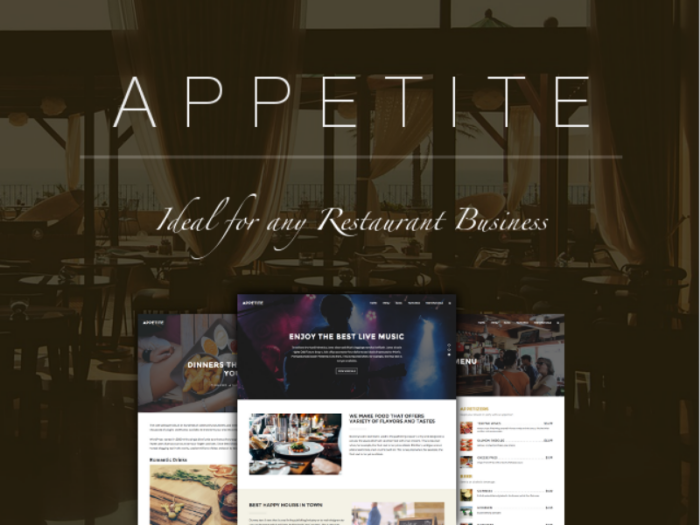 Appetite WordPress theme comes packed with many advanced features such as custom logo, Jetpack plugin support, testimonials, translation ready, featured images, custom header image, background images, 5 custom page templates, a mobile friendly design layout and many more. Available at $150, it’s still worth checking out. Do you have any other expensive WordPress theme in your mind? If so, don’t forget to share it with us. Emma Watson is a WordPress Developer by profession and writer by hobby. She is associated with Wordsuccor Ltd.- Experts in providing Custom Wordpress Development Services to global clients. She utilizes her wide in-depth knowledge to help her clients produce amazing web results online.